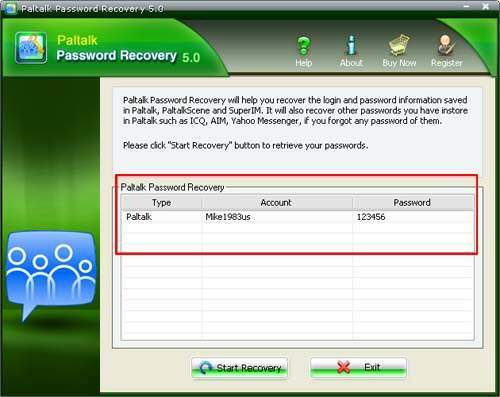 Tips: Below are the steps to recover the login and password information saved in Paltalk, PaltalkScene and SuperIM. Using Paltalk Password Recovery 5.0. To see the detailed information, please refer to the "Help" document integrated in the program. Step 1: Run Paltalk Password Recovery 5.0. Step 2: Click on the "Start Recovery" button.